NASA-NOAA's Suomi NPP satellite provided a visible look at Typhoon Sarika as it was poised for its second of three expected landfalls. When the satellite passed over Sarika it was in the South China Sea. Strong wind signal #3 is in force at Hong Kong, China, according to the Central Weather Bureau. Sarika, formerly known as Tropical Depression 24W fills up the northern half of the South China Sea on satellite imagery. On Oct. 17 at 2:10 (06:10 UTC) NASA-NOAA's Suomi NPP satellite passed over Sarika and provided a visible-light image of the storm. The Visible Infrared Imaging Radiometer Suite (VIIRS) instrument aboard NASA-NOAA's Suomi NPP satellite showed the cloud-filled center of circulation in the central northern South China Sea, southwest of Hainan Island, China. 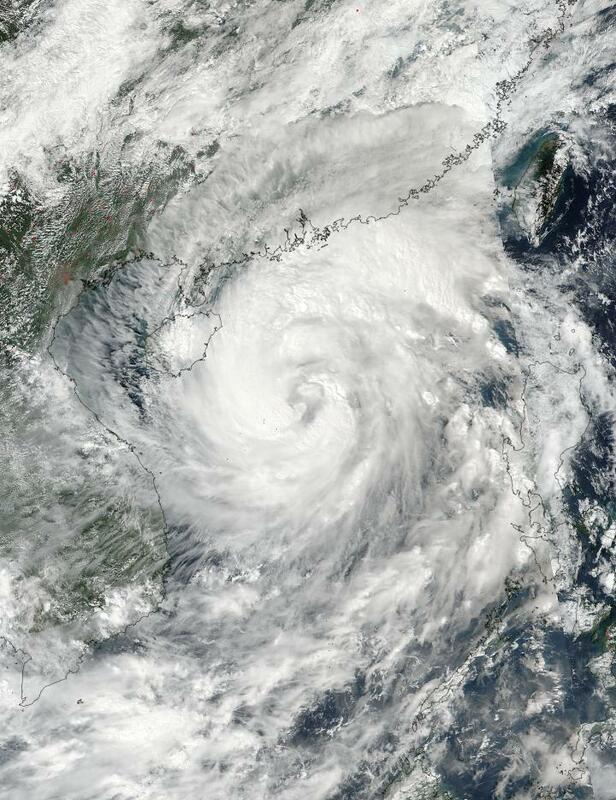 At 5 a.m. EDT (0900 UTC) Sarika had maximum sustained winds near 92 mph (80 knots/148 kph). It was centered near 18.0 degrees north latitude and 112.4 degrees east longitude, about 409 nautical miles east-southeast of Hanoi, Vietnam. It was moving to the west at 10 mph (8 knots/16 kph). The Joint Typhoon Warning Center forecasts Sarika to move toward Hainan Island, China where it is expected to make landfall. Sarika is later forecast to continue west and make a third landfall in northern Vietnam.